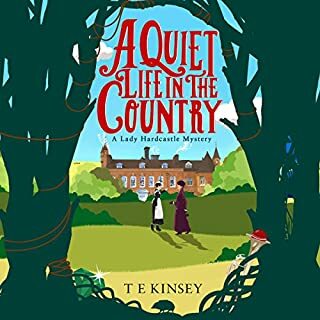 When amiable old village eccentric Quentin Andrews dies, the good folk of Cherringham are astonished at the crowd that turns up to his funeral. But even more astonished are the beneficiaries of his will: Quentin has left a veritable fortune to whomever is the first to solve an intricate "Cherringham crossword". 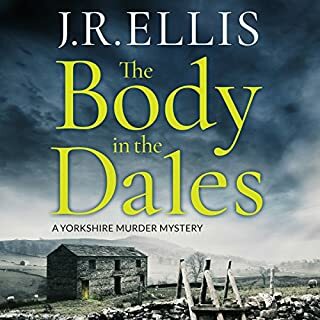 That puzzle is only the first of many that Jack and Sarah will uncover as they follow the treasure hunt for clues and learn the truth about who Quentin Andrews really was... and the biggest mystery of them all... was he - in fact - murdered? 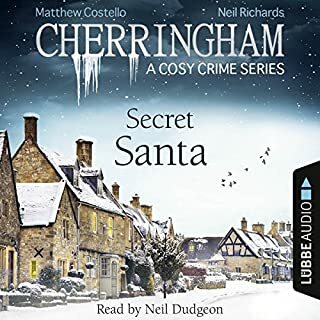 Cherringham is a serial novel à la Charles Dickens, with a new mystery thriller released each month. 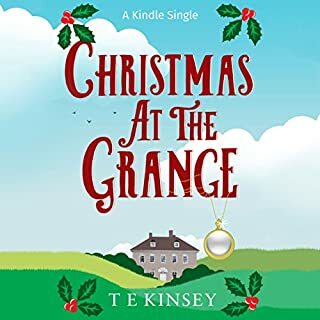 Set in the sleepy English village of Cherringham, the detective series brings together an unlikely sleuthing duo: English web designer Sarah and American ex-cop Jack. Thrilling and deadly - but with a spot of tea - it's like Rosamunde Pilcher meets Inspector Barnaby. 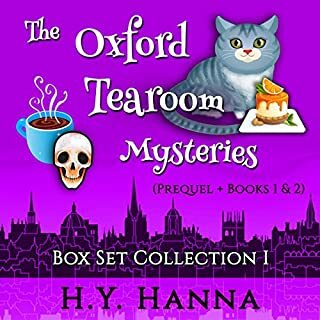 Each of the self-contained episodes is a quick listen for the morning commute, while waiting for the doctor, or when curling up with a hot cuppa. Co-authors Neil Richards (based in the UK) and Matthew Costello (based in the US), have been writing together since the mid 90's, creating content and working on projects for the BBC, Disney Channel, Sony, ABC, Eidos, Nintendo to name but a few. Their transatlantic collaboration has underpinned scores of TV drama scripts, computer games, radio shows, and - most recently - the successful crime fiction series "Cherringham". 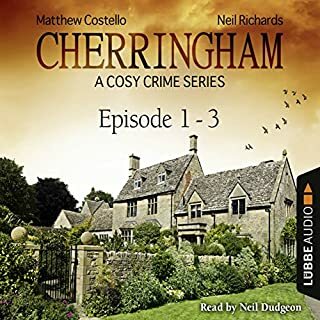 Now into its second season of 12 novellas, Cherringham is popular around the world and has been adapted as a series of audiobooks in Germany. every story is different this one keeps you guessing to the last chapter. GREAT read. 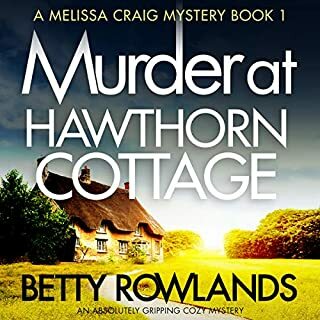 I love these short stories of people solving crimes in this beautiful English village. A great read! My first intro introduction into audio books. I was enthralled to the end. 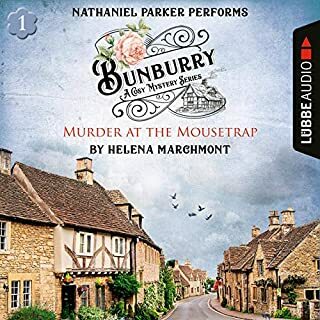 One thing I wish Audible would work on is the way titles are listed - please use same first word when possible for a series - and why sell 16, 17, and 18 as a group then break them apart and sell separately? 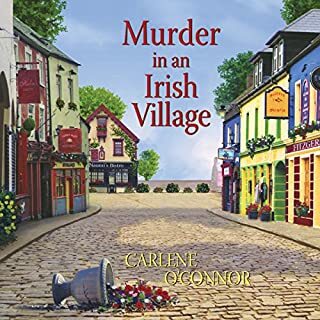 A really nice cozy mystery, enjoyed it. Narration was very good. Will certainly read some more. Beware this is also included in series 16-18. I really enjoyed this but was disappointed that it was included in another set. I thought it was only available as a single book. Wasted a couple of dollars. Who really knew Quentin? He was someone different to many others that's for certain! Someone has a Diabolical plan, but Quentin has the last laugh. The narration is as good as the writing. Enjoyed the series, looking forward to the next one. The ending seemed to come out of nowhere. 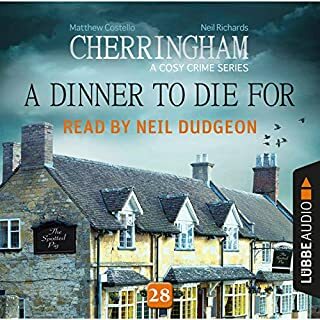 Neil Dudgeon is excellent an excellent narrator. 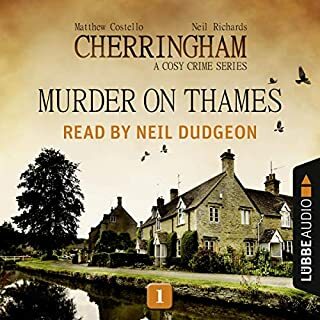 cherringham, what a delightful series, i have enjoyed each episode and wish there were more episodes. Enjoy this series very much. Will continue to listen to this series of stories, yes. 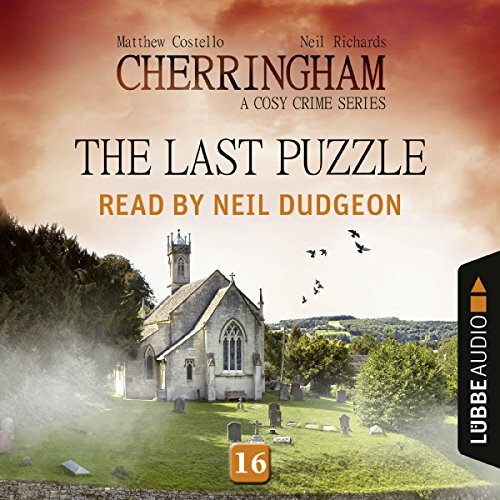 Neil Dudgeon is great reader, hope I can find more by him. Really enjoyed his performance. Unique story setup does not save a dull episode. Starts out interesting enough. A crossword puzzle must be solved to inherit a ton of money from a perhaps murdered man. Pretty unique setup. Then it all fizzles out. Story goes nowhere. Uninspired writing and totally uninteresting throughout. 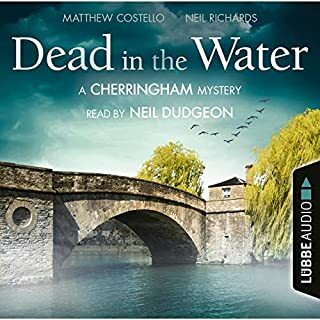 The least enjoyable Cherringham Mystery Short so far.